With her new debut album ‘Blue Mandolin’ Maria Butterly, stands poised to be the new jewel in the crown in Ireland's rich crop of musical talent. 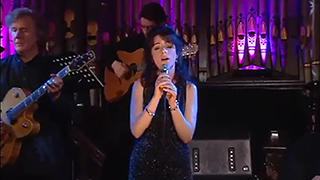 Lauded on TV3's Ireland AM as 'One of Ireland's most talented Singer/Songwriters', Maria soon delivered on such promise with the much-prized 'Songwriter of the Year' accolade at the 2013 -Leinster Entertainment Awards. 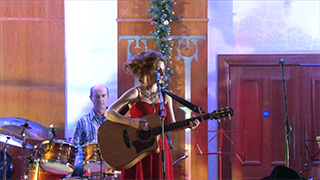 Her first single 'Angel' launched her into the spotlight as a previous contestant on Glor Tire on TG4. 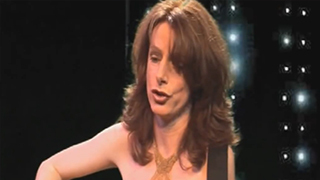 Just recently, Maria appeared on 'Nationwide' speaking with Mary Kennedy on her music career in the US vs Ireland, highlighting songs from her new album 'Blue Mandolin' produced by Bill Shanley. 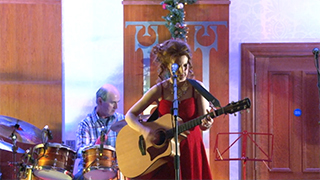 Multi-instrumentalist - self taught on guitar, mandolin, piano & whistle - Maria's original style draws on influences from both the Irish Contemporary Folk genre and the American Country-Bluegrass genre, as can be heard on 'Blue Mandolin'. 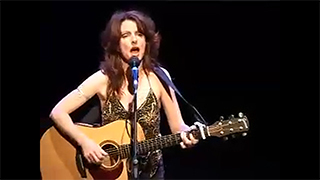 Originally from Laytown, Co Meath, Maria lived & toured in Nashville & LA, USA, for a number of years, perfecting her repertoire performing at hit venues such as Nashville's Bluebird Cafe, The House of Blues (LA), and New York's world famous Mercury Lounge having played alongside such icons as Bob Wooten (Johnny Cash's Band), Raul Malo (The Mavericks), Hal Ketchum, Damien Rice, Eleanor McEvoy, and Mundy. Headlined the 'Angelica Huston Gala Event' at Beverly Hilton, Los Angeles & won previous awards at the -'New York International Film & Music Festival' She recently performed her song ‘Quiet Man’ to Hollywood Star MAUREEN O’HARA on her 90th Birthday. 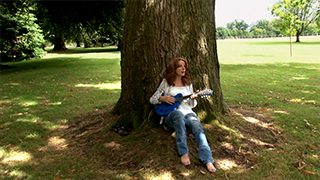 Furthermore, Maria is now showcasing her talent as a co-writer on the new upcoming album (self titled Blue Mandolin, produced by Bill Shanley) with Nashville No.1 hit writers Kostas Lasarides (who penned 'What a Cryin Shame' for the Mavericks) and Charles Quarto (songwriter for Crosby, Stills & Nash; Garth Brooks), as well as Ireland's very own Charlie McGettigan. 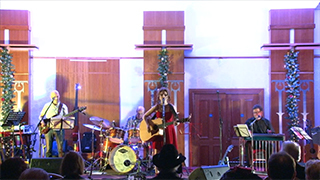 Although a performer, Maria has been writing & submitting music for TV/Film/Commercials & her album is a fine showcase of her work on tracks like ‘Demons’ & ‘Come to the Door’. 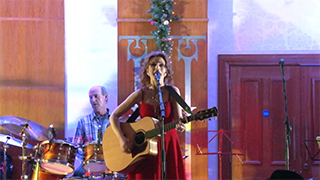 Her song ‘Thankful’ was featured on Nationwides edition to mark Armstice Day & she currently has two songs up for consideration for a movie documentary in LA & a US TV series. 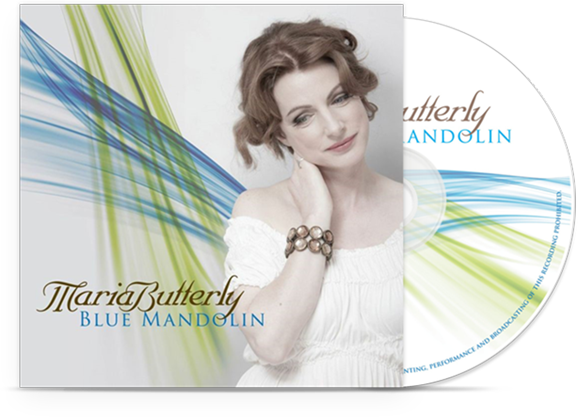 Maria's album 'Blue Mandolin' is right up with renowned artists such as Alison Krauss, Eva Cassidy, Linda- Ronstadt in terms of beautiful voicing, songs well executed on production & arrangement, profound lyrics & melodies and yet maintaining her own style simply - Maria Butterly. "This album is the best local production to come out of Ireland since A Womans Heart"
"One of the great things about Maria's song 'Quiet Man' is that it is actually very contemporary - we aren't just playing to aging Maureen O'Hara fans, but several generations and it has that appeal…that feel of the movie and its characters, and Maria has captured that ambiance and universal appeal that "The Quiet Man" maintains in cinema history”. Thursday 26th June 2018, 8pm.